Rainforests around the world still continue to fall. Does it really make a difference? Why should anyone care if some plants, animals, mushrooms, and microorganisms perish? Rainforests are often hot and humid, difficult to reach, insect-ridden, and have elusive wildlife. Actually the concern should not be about losing a few plants and animals; mankind stands to lose much more. By destroying the tropical forests, we risk our own quality of life, gamble with the stability of climate and local weather, threaten the existence of other species, and undermine the valuable services provided by biological diversity. While in most areas environmental degradation has yet to reach a crisis level where entire systems are collapsing, it is important to examine some of the effects of existing environmental impoverishment and to forecast some of the potential repercussions of forest loss. Continuing loss of natural systems could make human activities increasingly vulnerable to ecological surprises in the future. The most immediate impact of deforestation occurs at the local level with the loss of ecological services provided by tropical rainforests and related ecosystems. Such habitats afford humans valuable services such as erosion prevention, flood control, water filtration, fisheries protection, and pollination—functions that are particularly important to the world's poorest people, who rely on natural resources for their everyday survival. Forest loss also reduces the availability of renewable resources like timber, medicinal plants, nuts and fruit, and game. Over the longer term, deforestation of tropical rainforests can have a broader impact, affecting global climate and biodiversity. These changes are more challenging to observe and forecast from local effects, since they take place over a longer time scale and can be difficult to measure. The local level is where deforestation has the most immediate effect. With forest loss, the local community loses the system that performed valuable but often under-appreciated services like ensuring the regular flow of clean water and protecting the community from flood and drought. The forest acts as a sort of sponge, soaking up rainfall brought by tropical storms while anchoring soils and releasing water at regular intervals. This regulating feature of tropical rainforests can help moderate destructive flood and drought cycles that can occur when forests are cleared. When forest cover is lost, runoff rapidly flows into streams, elevating river levels and subjecting downstream villages, cities, and agricultural fields to flooding, especially during the rainy season. During the dry season, such areas downstream of deforestation can be prone to months-long droughts which interrupt river navigation, wreak havoc on crops, and disrupt industrial operations. Situated on steep slopes, montane and watershed forests are especially important in ensuring water flow and inhibiting erosion, yet during the 1980s, montane forests suffered the highest deforestation rate of tropical forests. (That trend changed in the late 1990s and 2000s, when upland forests recovered, while lowland areas bore the brunt of deforestation, largely due to agricultural expansion). Additionally, the forest adds to local humidity through transpiration (the process by which plants release water through their leaves), and thus adds to local rainfall. For example, 50-80 percent of the moisture in the central and western Amazon remains in the ecosystem water cycle. In the water cycle, moisture is transpired and evaporated into the atmosphere, forming rain clouds before being precipitated as rain back onto the forest. When the forests are cut down, less moisture is evapotranspired into the atmosphere resulting in the formation of fewer rain clouds. Subsequently there is a decline in rainfall, subjecting the area to drought. If rains stop falling, within a few years the area can become arid with the strong tropical sun baking down on the scrub-land. 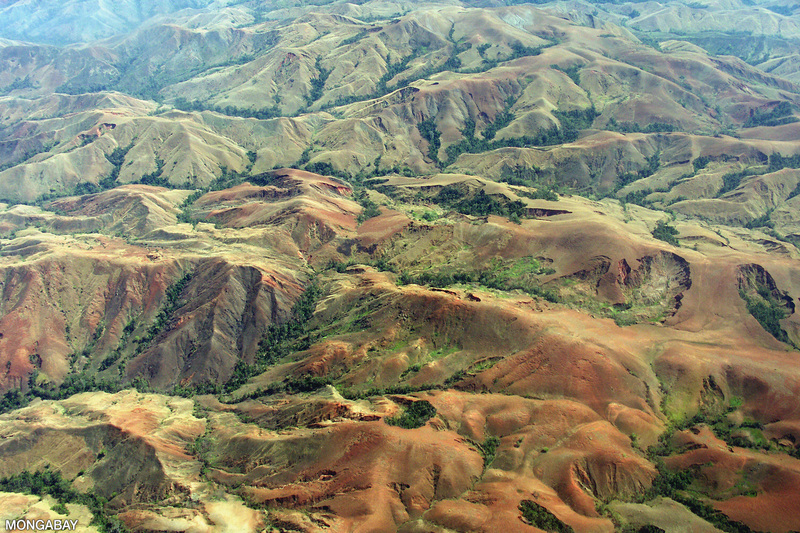 Today Madagascar is largely a red, treeless desert from generations of forest clearing with fire. River flows decline and smaller amounts of quality water reach cities and agricultural lands. The declining rainfall in interior West African countries has in part been attributed to excessive clearing of the coastal rainforests. Similarly, new research in Australia suggests that if it were not for human influences—specifically widespread agricultural fires—the dry outback might be a wetter, more hospitable place than it is today. The effect of vegetation change from forests that favor rainfall to grassland and bush can impact precipitation patterns. Colombia, once second in the world with freshwater reserves, has fallen to 24th due to its extensive deforestation over the past 30 years. Excessive deforestation around the Malaysian capital of Kuala Lumpur, combined with the dry conditions created by el Niño, triggered strict water rationing in 1998, and for the first time the city had to import water. There is serious concern that widespread deforestation could lead to a significant decline in rainfall and trigger a positive-feedback process of increasing desiccation for neighboring forest cover; reducing its moisture stocks and its vegetation would then further the desiccation effect for the region. Eventually the effect could extend outside the region, affecting important agricultural zones and other watersheds. At the 1998 global climate treaty conference in Buenos Aires, Britain, citing a disturbing study at the Institute of Ecology in Edinburgh, suggested the Amazon rainforest could be lost in 50 years due to shifts in rainfall patterns induced by global warming and land conversion. The newly desiccated forest becomes prone to devastating fires. Such fires materialized in 1997 and 1998 in conjunction with the dry conditions created by el Niño. Millions of acres burned as fires swept through Indonesia, Brazil, Colombia, Central America, Florida, and other places. The Woods Hole Research Center warned that more than 400,000 square kilometers of Brazilian Amazon were highly vulnerable to fire in 1998. That extent grew in 2005 and 2010 when the Amazon was hit by even worse droughts. The loss of trees, which anchor the soil with their roots, causes widespread erosion throughout the tropics. Only a minority of areas have good soils, which after clearing are quickly washed away by the heavy rains. Thus crop yields decline and the people must spend income to import foreign fertilizers or clear additional forest. Costa Rica loses about 860 million tons of valuable topsoil every year, while the Great Red Island, Madagascar, loses so much soil to erosion (400 tons/ha) that its rivers run blood-red, staining the surrounding Indian Ocean. Astronauts have remarked that it looks like Madagascar is bleeding to death, an apt description of a country with grave environmental degradation and an agriculture-reliant economy that depends on its soils. The rate of increase for soil loss after forest clearing is astonishing; a study in Ivory Coast (Cote d'Ivoire) found that forested slope areas lost 0.03 tons of soil per year per hectare; cultivated slopes annually lost 90 tons per hectare, while bare slopes lost 138 tons per hectare. After heavy tropical rains fall on cleared forest lands, the run-off carries soil into local creeks and rivers. The rivers carry the eroded soils downstream, causing significant problems. Hydroelectric projects and irrigation infrastructure lose productivity from siltation, while industrial installations suspend operations due to lack of water. Siltation also raises river beds, increasing the severity of floods, and creates shoals and sandbars that make river navigation far more troublesome. The increased sediment load of rivers smothers fish eggs, causing lower hatch rates. As the suspended particles reach the ocean, the water becomes cloudy, causing regional declines in coral reefs, and affecting coastal fisheries. The loss of coral reefs worldwide, often labeled the rainforests of the sea, is especially distressing to scientists because of their tremendous diversity and the important services they provide. Coastal fisheries are affected not just by the loss of coral reefs and their communities, but by the damage inflicted on mangrove forests by heavy siltation. Besides damaging the fisheries industry, deforestation-induced erosion can undermine roads and highways that cross through the forest. Erosion is extremely costly for developing countries. Besides the damage to infrastructure, fisheries, and property, erosion of precious topsoils costs tens of billions of dollars worldwide each year. For example, in the late 1980s the Indonesian island of Java was losing 770 million metric tons of topsoil every year at an estimated cost of 1.5 million tons of rice, enough to fulfill the needs of 11.5-15 million people. Environmental deterioration can leave people as "environmental refugees"—people who are displaced due to environmental degradation, including deforestation, sea-level rise, expanding deserts, and catastrophic weather events. Red Cross research shows more people are now displaced by environmental disasters than by war. A fully functioning forest has a great capacity to regenerate. But exhaustive hunting of tropical rainforest wildlife can reduce those species necessary to forest continuance and regeneration. For example, in Central Africa, the loss of species like gorillas, chimps, and elephants undercuts the seed dispersal and slows the recovery of damaged forest. Loss of habitat in the tropics also affects the regeneration of temperate species. North American migratory birds, important seed dispersers of temperate species, declined 1-3 percent annually from 1978-1988. The emergence of tropical diseases and outbreaks of new diseases, including nasty hemorrhagic fevers like ebola and lassa fever, are a subtle but serious impact of deforestation. With increased human presence in the rainforest, and exploiters pushing into deeper areas, humans are encountering microorganisms with behaviors unlike those previously known. As the primary hosts of these pathogens are eliminated or reduced through forest disturbance and degradation, disease can break out among humans. Although not unleashed yet, someday one of these microscopic killers could lead to a massive epidemic as deadly for our species as we have been for the species of the rainforest. Until then, local populations will continue to be menaced by mosquito-borne diseases like dengue fever, Rift Valley fever, and malaria, and water-borne diseases like cholera. Many emergent and resurgent diseases are directly linked to land alterations which bring humans in closer contact with such pathogens. For example, malaria and snailborne schistosomiasis have escalated because of the proliferation of artificial pools of water like dams, rice paddies, drainage ditches, irrigation canals, and puddles created by tractor treads. Malaria is a particular problem in deforested and degraded areas, though less so in forested zones where there are few stagnant ground pools for mosquito breeding. These pools are most abundant in cleared regions and areas where tractors tear gashes in the earth. Malaria — which is estimated to infect 300 million people a year worldwide, killing 1-2 million — is a major threat to forest-dwelling indigenous peoples who have developed little or no (in the case of uncontacted tribes) resistance to the disease and lack access to antimalarial drugs. Malaria in the 1990s was cited for killing an estimated 20 percent of the Yanomani in Brazil and Venezuela. Drug-resistant forms of malaria means the disease is again becoming a threat in places where it was thought to be under control. Models suggest that climate change could expand the distribution of malaria-carrying mosquitos. The outbreak of disease in the tropics does not affect only the people of those countries, since virtually any disease can be incubated for enough time to allow penetration into the temperate developed countries. For example, a Central African doctor infected with the ebola virus from a patient can board a plane and land in London within 10 hours. The virus could quickly spread among the city's large population Additionally, every person at the airport who is exposed can unknowingly carry the pathogen home to their native countries around the world. According to the Centers for Disease Control (CDC) in Atlanta, deaths from infectious disease are on the rise. Infectious disease is the leading cause of death worldwide and the third leading cause of death in the United States. Infectious disease have had a major role in human mortality throughout history. At least one-third of human deaths during World War I came from an infectious disease: influenza. In 1919, between 20 million and 100 million died from the flu—more than the number of total casualties from the war. Deforestation can rob a country of potential renewable revenues while replacing valuable productive lands with virtually useless scrub and grassland. Tropical forests provide important renewable resources that can significantly contribute to national economic growth on a continuing basis. In theory, logging can be a sustainable activity, generating an ongoing source of revenue without diminishing the resource base—especially in secondary forests and plantations. However, most rainforest logging is not sustainable in practice, diminishing the potential revenue for tropical countries in the long term. The importance of forestry is decreasing in many former wood-exporting countries in Southeast Asia and West Africa due to overexploitation. While several countries have moved to restrict logging, some continue to struggle with illegal operations. The World Bank estimates that governments lose about US$5 billion in revenues annually as a result of illegal logging while overall losses to the national economies of timber-producing countries add up to an additional US$10 billion per year. After logging, one of the largest "renewable resources" provided by tropical rainforests is ecotourism. The booming market brings tens of billions of dollars annually to tropical countries around the world. Ecotourism suffers with deforestation—few tourists, let alone ecotourists, want to travel in order to see polluted rivers, stumps of former forests, barren wasteland, gorilla carcasses, and relics of recently assimilated forest dwellers. Forest products play a crucial role in the economy of developing countries, generating more than $120 billion in reported income in the late 2000s, according to the FAO. Roughly 20 percent of that value came from secondary forest products, although that number is likely a gross underestimate since it doesn't include the value to local, non-market consumers, who use timber to build houses and collect nuts and fruits from the forest for food. Short-term economic exploitation through deforestation can be devastating to the long-term economy of developing countries not only by annihilating vital ecosystems that afford important services, but also by destroying potential forest products. Accordingly, the volume of tropical hardwood exports has fallen since 1980. Malaysia has seen a 60 percent decline in log exports, while the Philippines (a major exporter of logs during the early 1980s) has seen a virtual cessation in log exports. In both cases, the declines are due to dwindling harvestable forest resources. Besides timber products, tropical countries lose potential earnings from renewable forest products like Brazil nuts from the Amazon, durian fruit from Southeast Asia, and resin from Damar trees in Sumatra. A recent study by CIFOR estimated that forest products generate up to 20 percent of rural income and often provides the only means to access the cash economy. Many rainforest products cannot exist without a fully functioning rainforest system. 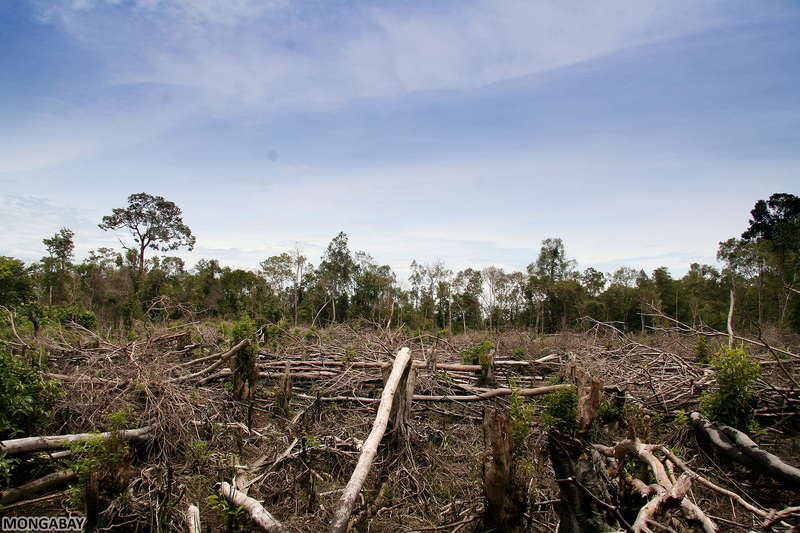 Thus deforestation puts renewable forest resources at risk. Is Indonesia losing its most valuable assets? Deep in the rainforests of Malaysian Borneo in the late 1980s, researchers made an incredible discovery: the bark of a species of peat swamp tree yielded an extract with potent anti-HIV activity. But when the scientists returned to the site to collect more material for analysis, they were shocked to find the tree, and its promise, gone. As their habitat dwindles, animals are forced to forage outside their traditional forest range and move into areas populated by humans. Fatal encounters with wild animals like elephants, venomous snakes, and big cats occur in and around degraded forest areas. Conflict between humans and forest elephants is common, particularly in Asia. Although conservationists have worked with authorities on practices and approaches to keep elephants away from crops, while providing for their safety, many farmers still find it easier to simply kill the offending animals. Sometimes problem elephants are killed opportunistically for their ivory. In Indonesia a series of tiger attacks on illegal loggers made headlines in 2009. The loggers were killed while cutting timber from protected rainforests in Sumatra. While predator attacks on livestock can be a problem, research has show that estimates of livestock losses are frequently overstated, especially when conditions are poor and compensation is offered for such losses. Tropical rainforests play a vital role in the functioning of the planet's natural systems. The forests regulate local and global weather through their absorption and creation of rainfall and their exchange of atmospheric gases. For example, the Amazon alone creates 50-80 percent of its own rainfall through transpiration. Cutting the rainforests changes the reflectivity of the earth's surface, which affects global weather by altering wind and ocean current patterns, and changes rainfall distribution. If the forests continue to be destroyed, global weather patterns may become more unstable and extreme. As previously discussed, tropical rainforests play a vital role in local climate regulation by their interaction with water cycles. However, rainforests also have a significant effect on global weather. Rainforests, like all forms of vegetation, affect the "surface albedo" or reflectivity of a surface by absorbing more heat than bare soil. In turn, this warm carries moisture from forest trees into to atmosphere, where it condenses as rain. In other words, tropical forests cool local climate and help generate rainfall. Conversely, the loss of forest vegetative cover means less heat absorption, translating to less moisture being taken up into the atmosphere. Rainfall is also affected when forest-clearing fires create air pollution and release tiny particles, known as aerosols, into the atmosphere. While aerosols can both heat and cool the air, depending on their size, shape, and color, high concentrations of biomass-burning aerosols directly impact local climate by increasing cloud formation but decreasing rainfall, according to research by NASA. In areas with lots of smoke, "cloud droplets form around the aerosol particles, but may never grow large enough to fall as rain," say researchers with NASA's Goddard Space Flight Center who studied the effect. Thus large forest fires have the effect of further reducing rainfall, leaving burned areas more prone to dryness and future fires. In the long run, these changes explain why deforested regions may experience a decline in rainfall. 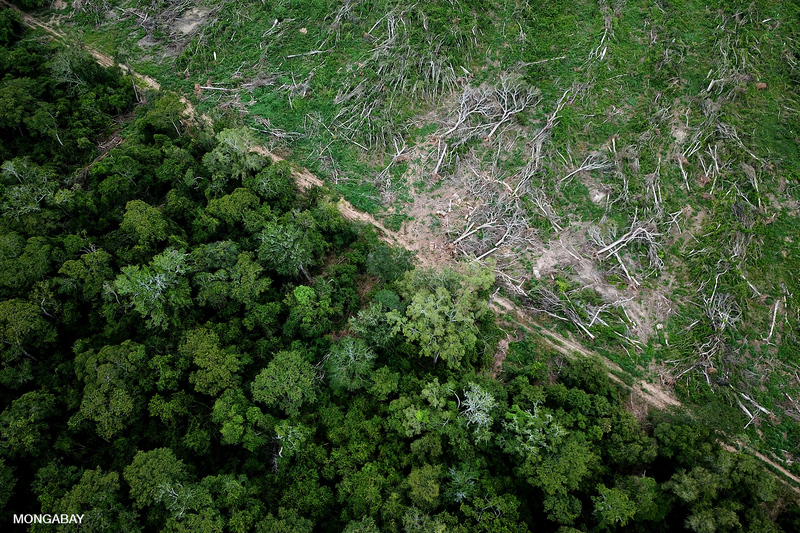 Tropical deforestation can also affect weather in other parts of the world. A 2005 study by NASA found that deforestation in the Amazon region of South America influences rainfall from Mexico to Texas and in the Gulf of Mexico, while forest loss in Central Africa affects precipitation patterns in the upper and lower U.S Midwest. Similarly, deforestation in Southeast Asia was found to impact rainfall in China and the Balkan Peninsula. In 2007 two Russian physicists proposed a new theory for explaining the role forests have in generating rainfall over land masses. The concept, known as the pump theory holds that it is condensation from forests, and not temperature differences, that drives the winds which bring precipitation over land. The theory is hotly contested. Rainforests play the important role of locking up atmospheric carbon in their vegetation via photosynthesis. When forests are burned, degraded, or cleared, the opposite effect occurs: large amounts of carbon are released into the atmosphere as carbon dioxide along with other greenhouse gases (nitrous oxide, methane, and other nitrogen oxides). 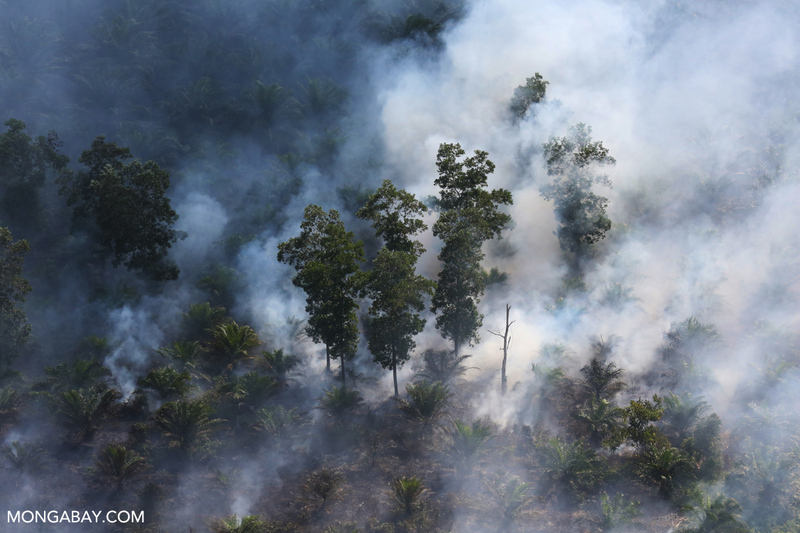 The clearing and burning of tropical forests and peatlands releases more than a billion metric tons of carbon (3.7 billion tons of carbon dioxide) into the atmosphere each year, or about more than ten percent of anthropogenic carbon emissions. The buildup of carbon dioxide and other gases in the atmosphere is known as the "greenhouse effect." The accumulation of these gases is believed to have altered the earth's radiative balance, meaning more of the sun's heat is absorbed and trapped inside the earth's atmosphere, producing global warming. Greenhouse gases like carbon dioxide are transparent to incoming shortwave solar radiation. This radiation reaches the earth's surface, heats it, and re-radiates it as long-wave radiation. Greenhouse gases are opaque to long-wave radiation and therefore, heat is trapped in the atmosphere. As greenhouse gases build up, this opacity is increased and more heat is trapped in the atmosphere. The largest anthropogenic contributor to the greenhouse effect is carbon dioxide gas emissions, more than 85 percent of which comes from the combustion of fossil fuels (roughly one percent of emissions result from from energy-costly production activities like the manufacture of concrete, steel, and aluminum). The preindustrial atmospheric concentration of carbon dioxide was 280 ppm, though today levels have risen to 400 ppm, a 43 percent increase. Climatologists estimate that a level of 450 ppm—as projected for 2050—may result in an eventual 1.8-3 degrees Celsius (3.2-5.4 degrees Fahrenheit) increase in temperature. Some scientists predict that global warming will produce a sharp upswing in global temperatures followed by a deep plunge into a glacial period several thousands years from now. However, there are still a lot of unknowns about the impact of climate change. The extent and effect of global warming has been long debated by scientists, industries, and politicians. In 1995 leading scientists and the Intergovernmental Panel on Climate Change (IPCC) concluded that global warming had been detected and that "the balance of evidence suggests a discernible human influence on global climate." Their evidence included a 0.5-1F (0.3 to 0.6C) increase in average global temperature since 1960, a 4.5F (2.5C) degree increase at the Earth's poles, the breaking up of the Antarctic ice sheets, the receding of glaciers worldwide, the longest El Niño ever recorded, a record number of hurricanes in 1995, a record number of heat waves, and an increase of epidemics attributed to global climate change, including dengue fever, malaria, hanta virus, and the plague. According to scientists at the National Oceanic and Atmospheric Administration, 1998 was the warmest year on record, although 2005 was a close second. A British study at the University of East Anglia suggested that 1998 may be the warmest year in over 800 years. The 1990s have been the warmest decade of the millennium and the past decade has witnessed nine of the eleven hottest years this century. In the 900 years before the twentieth century, temperatures dropped an average of 0.02 degrees C (0.04 degrees F) per century. Since 1960 atmospheric carbon-dioxide levels have increased from 313 ppm to 400 ppm (28 percent increase), according to measurements from Mauna Loa observatory, and carbon-dioxide levels are now 27 percent higher than at any point in the last 650,000 years. The Intergovernmental Panel on Climate Change (IPCC) projects that atmospheric carbon-dioxide levels could reach 450-550 ppm by 2050, possibly resulting in higher temperatures and rising sea levels, along with a myriad of potential impacts ranging from increased storm and hurricane intensity [news]; melting of polar ice [news], Arctic permafrost, and glaciers [news]; changes in ocean currents including the Gulf Stream; a rise in global sea levels [sea levels] which could inundate low-elevation cities like Cairo, Venice, Lagos, New Orleans, and Amsterdam and cause problems for low-lying nations; increased coral bleaching and mortality of reef ecosystems; changes in ecosystems; species migration and mass extinction, especially among cold climate species; heightened danger from human pollutants like ozone; health impacts including the spread of tropical disease into cooler climates and range expansion of other pathogens; and water shortages. The projected rise in sea level from ocean-water expansion and ice melt varies depending on estimates of global warming. But there is a good chance that oceans will rise from 10 inches (25 cm) to 20 inches (50 cm) within the next century if greenhouse gas emission rates continue at present levels. 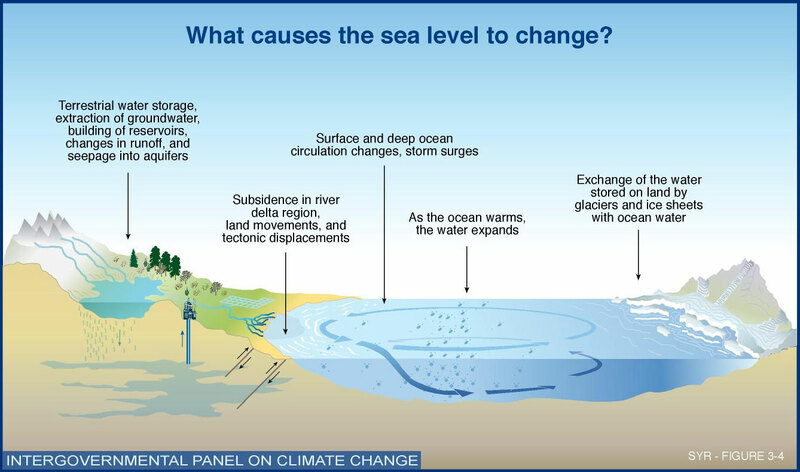 Such a rise in sea level does not sound like much, but it would have profound effects on both humankind and natural systems. Any sea-level increase would be magnified during tides, storm surges, and hurricanes and could have a devastating impact as shown by Category 3 Hurricane Katrina in 2005. Island nations like the Maldives and scattered South Pacific republics face extinction. The sea is a tremendously important resource for man, and some of the world's largest cities lie along the coast for trade and commercial fishing. Any rise in sea level would directly affect these metropolises, causing flooding and the potential disruption of sewage and transit systems, along with inundating neighboring agricultural plots. A change in sea levels will also affect coastal ecosystems like river deltas, wetlands, swamps, and low-lying forests, which play an important role in providing services for mankind, in addition to housing biological diversity. Though sea levels have been higher in the past, today there is less room for species affected by flooding, since buildings and concrete now occupy the areas that were once extensions of their environment. Modern humankind is so dependent on existing conditions, that a change in sea level, even if it is 10-20-inch (25-50 cm) will have a drastic effect on our society. Global warming is as much a social problem as it is an environmental one. Scientists expect climate change to cause major shifts in species distribution and ecosystems, though there is still considerable debate over how climate change will affect specific ecosystems. Moderate climate warming simulations show that coral reefs will decline significantly over the next 50 years due to higher water temperatures and increased ocean acidity, and a similar fate will befall many organisms that form the base of the oceanic food chain. On land, permafrost across frozen landscapes may melt and give way to forest vegetation, while agricultural belts may move polewards. 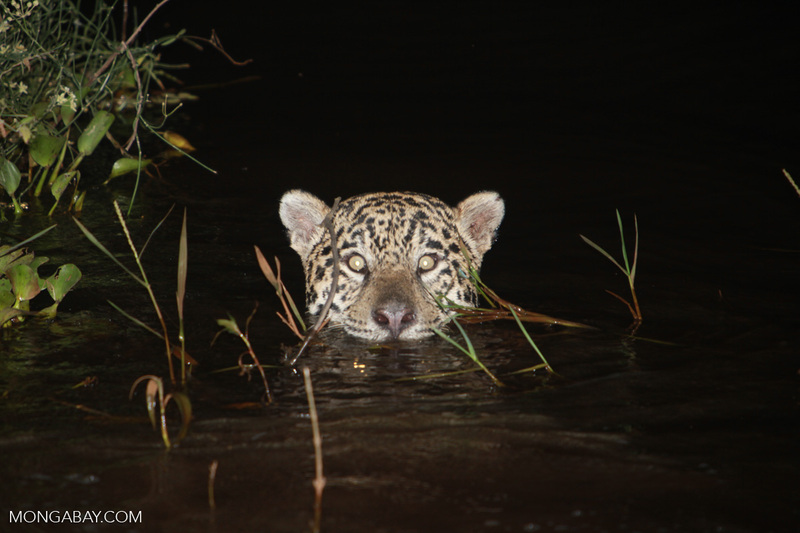 In the Amazon, temperatures are expected to climb, resulting in drier forests and expanded savanna. In Africa, climate change may disrupt regular seasonal weather patterns over large regions of the continent, reducing rainfall in some areas while producing more rainfall in the drought-stricken Sahel region. The good news is that some carbon emissions can be canceled out by planting trees, which absorb carbon into their tissue through photosynthesis. Tropical forests have the best potential for the mitigation of greenhouse gases since have the greatest capacity to store carbon in their tissues as they grow. Reforestation of 3.9 million square miles (10 million square km) could sequester 3.7-5.5 billion metric tons of carbon dioxide over the next 50-100 years. Already a number of tree-planting projects specifically designated for carbon-emissions mitigation have been initiated around the world, including a proposal by a coalition of developing countries at the 2005 UN climate conference in Montreal to seek compensation in the form of carbon payments for forest conservation. This proposal has since developed into the so-called Reducing Emissions from Deforestation and Degradation or REDD+ mechanism, which is expected to mobilize tens of billions of dollars in carbon finance for tropical forest conservation. [Latest news on avoid deforestation, carbon finance, and REDD]. While schemes like REDD+ could provide ways for poor tropical countries to capitalize on their natural assets without destroying them, the bad news is that even if carbon emissions are reversed today there is a lag time of around 50 years before the effects can be slowed, because of ocean thermal inertia, or their capacity to store heat. Thus the effects from past emissions are not entirely apparent today. While the role of rainforests in oxygen generation is often overstated—more oxygen is produced by microorganisms in the world's oceans—tropical rainforests do add oxygen to the atmosphere as a by-product of photosynthesis. Some scientists estimate that 20 percent of the planet's oxygen is produced by rainforests. Clearing rainforests diminishes the capacity of the global system to supply oxygen. The greatest loss with the longest-lasting effects from the ongoing destruction of wilderness will be the mass extinction of species that provide Earth with biodiversity. Although great extinctions have occurred in the past, none has occurred as rapidly or has been so much the result of the actions of a single species. The extinction rate of today may be 1,000 to 10,000 times the biological normal, or background, extinction rate of 1-10 species extinctions per year. Decades or centuries after a habitat perturbation, extinction related to the perturbation may still be taking place. This is perhaps the least understood and most insidious aspect of habitat destruction. We can clear-cut a forest and then point out that the attendant extinctions are low, when in reality a larger number of extinctions will take place in the future. We will have produced an extinction debt that has to be paid... We might curtail our hunting practices when some given population falls to very low numbers and think that we have succeeded in "saving" the species in question, when in reality we have produced an extinction debt that ultimately must be paid in full... Extinction debts are bad debts, and when they are eventually paid, the world is a poorer place. For example, the disappearance of crucial pollinators will not cause the immediate extinction of tree species with life cycles measured in centuries. Similarly, a study of West African primates found an extinction debt of over 30 percent of the total primate fauna as a result of historic deforestation. This suggests that protection of remaining forests in these areas might not be enough to prevent extinctions caused by past habitat loss. While we may be able to predict the effects of the loss of some species, we know too little about the vast majority of species to make reasonable projections. The unanticipated loss of unknown species will have a magnified effect over time. The process of extinction is enormously complex, resulting from perhaps hundreds or even thousands of factors, many of which scientists (let alone lay people) fail to grasp. The extinction of small populations, either endangered or isolated from the larger gene pool by fragmentation or natural barriers like water or mountain ranges, is the best modeled and understood form of extinction. Since the standard was set by MacArthur and Wilson in The Theory of Island Biogeography (1967), much work has been done modeling the effects of population size and land area on the survival of species. The number of individuals in a given population is always fluctuating due to numerous influences, from extrinsic changes in the surrounding environment to intrinsic forces within a species' own genes. This population fluctuation is especially a problem for populations in isolated forest fragments and species that are critically endangered throughout their range. When a population falls below a certain number, known as the minimum viable population (MVP), it is unlikely to recover. Thus the minimum viable population is often considered the extinction threshold for a population or species. There are three common forces that can drive a species with a population under MVP to extinction: demographic stochasticity, environmental stochasticity, and reduced genetic diversity. Demographic stochasticity involves birth and death rates of the individuals within a species. As the population size decreases, random quirks in mating, reproduction, and survival of young can have a significant outcome for a species. This is especially true in species with low birth rates (i.e. some primates, birds of prey, elephants), since their populations take a longer time to recover. Social dysfunction also plays an important role in a population's survival or demise. Once a population's size falls below a critical number, the social structure of a species may no longer function. For example many gregarious species live in herds or packs which enable the species to defend themselves from predators, find food, or choose mates. In these species, once the population is too small to sustain an effective herd or pack, the population may crash. Among species that are widely dispersed like large cats, finding a mate may be impossible once the population density falls below a certain point. Many insect species use chemical odors or pheromeres to communicate and attract mates. As population density falls, there is less probability that an individual's chemical message will reach a potential mate, and reproductive rates may decrease. Similarly, as plant species become rarer and more widely scattered, the distance between plants increases and pollination becomes less likely. Environmental stochasticity is caused by randomly occurring changes in weather and food supply, and natural disasters like fire, flood, and drought. In populations confined to a small area, a single drought, bad winter, or fire can eliminate all individuals. Reduced genetic diversity is a substantial obstacle blocking the recovery of small populations. Small populations have a smaller genetic base than larger populations. Without the influx of individuals from other populations, a population's genome stagnates and loses the genetic variability to adapt to changing conditions. Small populations are also prone to genetic drift where rare traits have a high probability of being lost with each successive generation. The smaller the population, the more vulnerable it is to demographic stochasticity, environmental stochasticity, and reduced genetic diversity. These factors, often working in concert, tend to further reduce population size and drive the species toward extinction. This trend is known as the extinction vortex. See the box on the right for an example of an extinction vortex. Some mathematical ecologists have suggested that population fluctuations may be governed by properties of chaos making the behavior of the system (the fluctuation of a species's population size) nearly impossible to predict due to the complex dynamics within a given ecosystem. Tropical species are not only threatened directly by deforestation, but also by global climate change. Even if species survive in protected reserves, they may perish as a result of rising ocean levels and climactic changes. Many tropical species are used to constant, year-round conditions of temperature and humidity. They are not adapted to climate change even if it is as small as 1.8F (1C). Changes in seasonal length, precipitation, and intensity and frequency of extreme events that could occur should the Earth warm may strongly impact biodiversity in seasonal tropical forests and cloud forests. Studies show that unusual weather conditions—such as those under el Niño and la Niña—can cause population fluctuations of many forest animals. Should the frequency and intensity of such extreme events reach the level where whole populations are unable to recover to their normal level between events we could see localized extinctions and serious changes in the ecosystem. 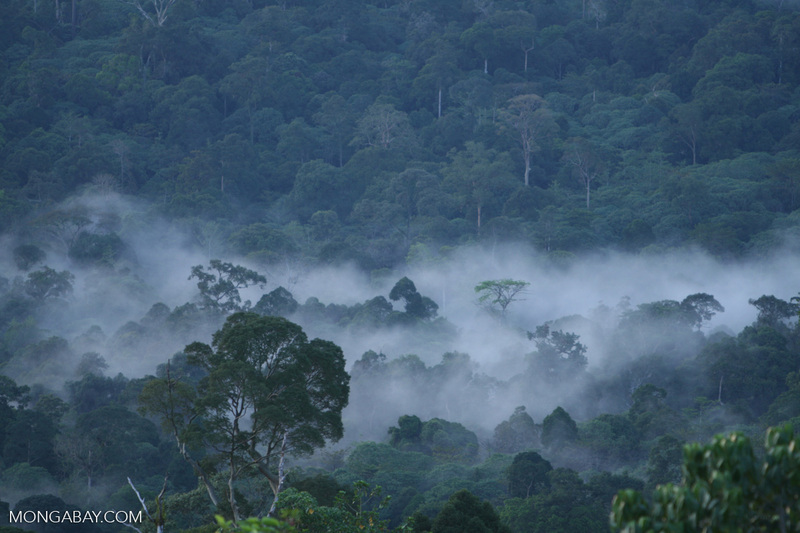 Climate changes could especially impact some sensitive ecosystems like cloud forests, which would be drastically affected by any lifting of the cloud cap. One often-overlooked consequence of increased temperatures is the spread of disease among wild animals. For example, there is a good chance that avian malaria and bird pox will be spread to Hawaiian upland forests by mosquitoes currently limited to elevations below 4,800 feet (1,500 m) due to temperature constraints. The spread of these diseases to upland forest would probably mean the extinction of several endangered bird species. Many forest communities have survived global climate change in the past by "migrating" north or southward. However, today, because of fragmentation and human development, there are few corridors of wild territory for migration. Highways, parking lots, plantations, housing developments, and farms impede the slow, but steady movement necessary for many communities to survive changing climate conditions. Unable to escape the changes, many species within these communities will have to cope or face extinction. One of the contributing factors to the worldwide decline in amphibian populations may be the gradual climate change over the past 100 years, which when coupled with the increase in UV-B radiation, may have weakened their defense to a previously harmless fungal infection. This fungus has been detected on dead or dying frogs in locations around the world. Global climate change may have had an impact on the extinction of North American megafauna at the end of the ice age some 10,000 years ago. One of the leading theories for the demise of these mammals—which included such wild beasts as giant sloths, mammoths, sabertooth cats, and oversized horses and rhinos—is that habitat fragmentation, caused by global climate change, split species into small populations, making them more vulnerable to extinction. As the last glacial interval came to a close and the great ice sheets receded, an additional factor came into play: the presence of hungry human hunters. Models (the Moisimann and Martin model of 1975, amended by Whittington and Dyke in 1989) suggest that by merely killing off 2 percent of the mammoth population every year, year after year, the entire species would be doomed to eventual extinction some three or four centuries down the road. These natural (climate change) and unnatural (human) influences working in concert surely condemned to extinction some of the most magnificent creatures ever seen by man. Today we are facing a similar situation, only this time we may be responsible for both factors, the global climate change and the overexploitation. The educated guess is that each species of plant supports ten to thirty species of dependent animal. Eliminate just one species of insect and you may have destroyed the sole specific pollinator for a flowering plant; when that plant consequently vanishes, so may another twenty-nine species of insects that rely on it for food; each of those twenty-nine species might be an important parasite upon still another species of insect, a pest, which when left uncontrolled by parasitism will destroy further whole populations of trees, which themselves had been important because . . . The complexity of the rainforest makes it impossible to anticipate when and what species will disappear. Besides losing unique species that have lived on the planet for longer than we have and have every right to exist as we do, we are losing an incredible pool of genetic diversity which we could harness to help our own kind. As each species is lost, a unique combination of genes which has been produced over the course of millions of years, is lost and will not be replaced during our time. We head toward a future impoverished of the magnificent beasts that we remember learning about as children: ferocious tigers; armored rhinos; brilliant macaws; colorful frogs and toads. As these species vanish from the globe, the world is truly a poorer place. Estimates of species loss each year range greatly as shown by this table. Why should rainforests be protected? How do rainforests help moderate flood and drought cycles? Why do rainforests help prevent erosion? Why is erosion a problem? How is deforestation linked to the emergence of disease? Why are secondary forest products important? Why does local rainfall decline with deforestation? 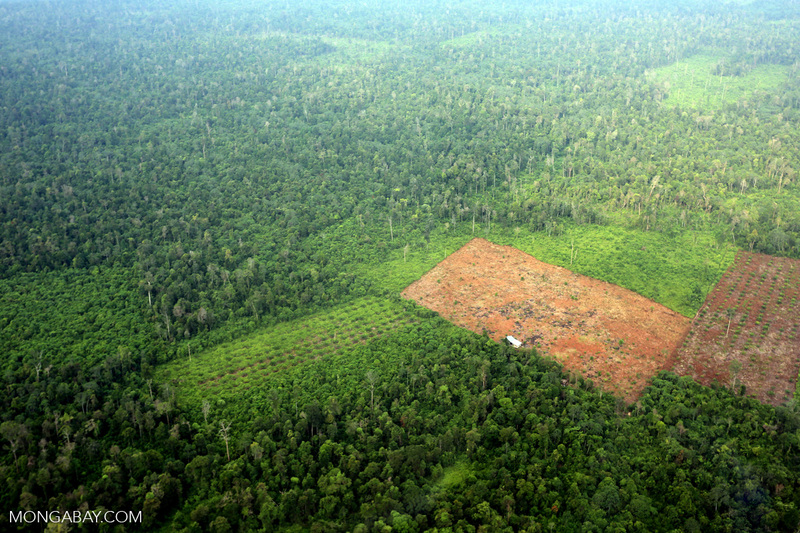 How does deforestation affect global warming? Why are rainforests called "the lungs of the world"? Why is there a "lag time" for species extinction? Why do small populations have a lower probability of survival? How might climate change impact global biodiversity? Why are frogs dying around the world? N. Myers in "Deforestation Rates in Tropical Forests and Their Climactic Implications," Friends of the Earth, London, 1989 estimates that the tropical deforestation rate increased by 90% during the 1980s. The "Estimated Annual Rates of Deforestation" chart is derived from Orr, D.W., Earth in Mind: On Education, Environment, and the Human Prospect, Washington, D.C.: Island Press, 1994; State of the World's Forests 1997 (SOFO) published by the United Nations Food and Agriculture Organization (FAO); and N. Myers in "Deforestation Rates in Tropical Forests and Their Climactic Implications," Friends of the Earth, London, 1989. The U.N. FAO (State of the World's Forest 1997 (SOFO)) provides statistics revealing the high deforestation rates of tropical montane forest during then 1980s. According to Salati, E. and Nobre, C.A ("Possible climatic impacts of tropical deforestation," in Tropical Forests and Climate, ed N. Myers., Dordrecht: Kluwer Academic Publishers, 1992) 50-80% of the moisture in the central and western Amazon is recycled. Myers, N. in "The world's forests and their ecosystem services," in Nature's Services: Societal Dependence on Natural Ecosystems, ed G.C. Daily, Washington D.C.: Island Press, 1997 explains how moisture is transpired by plants and evaporated back into the atmosphere to form rain clouds. A. Gioda reviews the importance of water throughout history in "A Short History of Water" Nature & Resources, Vol. 35, No. 1, Jan-Mar 1999. Szollosi-Nagy, A., Najlis, P., and Bjorklund, G breadown the availability of global freshwater resources in "Assessing the world's freshwater resources," Nature & Resources, Vol. 34, No. 1, Jan-Mar 1998. Albor, T. reported on severe flooding in the Philippines resulting from deforestation ("Illegal Logging blamed for Philippine Flood Toll," Christian Science Monitor 11/12/91). Pearce attributes declining rainfall in interior West African countries to coastal forest loss (Pearce, F., "Lost Forests Leave West Africa Dry," The New Scientist 1-18-97.). Vegetation change caused by ancient human agricultural fires may have impacted precipitation patterns in the Austalian outback according to Cowen, R. ("If You Don't Spare the Tree, You May Spoil More Than the Jungle," Christian Science Monitor. 1/13/98) and Johnson, B.J. et aL. ("65,000 years of vegetational change in central Australia and the Australian summer monsoon," Science Vol. 284, No 5417 (1150-1152), 14-May-1999). In his article "Escaping Nature's Wrath" in the Chronicle Foreign Service (1998), P. Grunson discusses the role of environmental degradation on damage inflicted by Hurricane Mitch. In his book, Ultimate Security: The Environmental Basis of Political Stability (Washington, D.C.: Island Press. 1996), Norman Myers discusses the importance of environmental stability in maintaining social and policial stability. He indicates that shrinking water supplies will have important political raminfications in the near future. The decline of Colombia's freshwater resources is mentioned in Inter Press Service (IPS), "Environment-Colombia: Garbage, Guerrillas and Animal Smugglers" 1/7/98. N. Myers brings up the concern that widespread deforestation could trigger a positive-feedback process of increasing dessication for neighboring forest cover in "The world's forests and their ecosystem services" in Nature's Services: Societal Dependence on Natural Ecosystems, ed G.C. Daily, Washington D.C.: Island Press, 1997. At the 1998 global climate treaty conference in Buenos Aires, the Nautral Environment Research Coucil of the UK released a study forcasting the conversion of 2.8 million square kilometers of the Amazon rainforest to desert resulting from global climate change. This dire projection has been considered too extreme by many climate researchers since its release. Nevertheless the story was picked up by McCarthy, M. in "Amazon forest 'will be dead in 50 years'" The Independent. 11/11/98. In its RisQue98 (Risco de Queimada, or "Risk of Burning" in Amazonia - 1998), the Woods Hole Research Center assessed the risk of forest fires and agricultural burning in Brazilian Amazonia for the second half of 1998 and found that more than 400,000 square kilometers were vulnerable. J. Omang ("In the Tropics, still rolling back the rain forest primeval," Smithsonian (March 1987) reported the rate of erosion in Costa Rica. Photograhper Frans Lanting made the comment that from space it looks as if Madagascar is bleeding to death from rampant erosion in A World Out of Time-Madagascar, New York: Aperture Foundation, Inc., 1990. UNESCO/UNEP/FAO, in Tropical Forest Ecosystems, 1978 provides the erosion rates for different vegetation types in an Ivory Coast study. A discussion on the worst coral bleaching on record in 1998 can be found in Wilkinson et al., (Wilkinson, C., O. Linden, H. Cesar, G. Hodgson, J. Rubens, and A. E. Stong, "Ecological and socioeconomic impacts of 1998 coral bleaching in the Indian Ocean: an ENSO impact and a warning of future change?" Ambio, 1999) the U.S. Department of State's "Coral Bleaching, Coral Mortality, and Global Climate Change," Bureau of Oceans and International Environmental and Scientific Affairs U.S. Department of State, March 5, 1999; and Wilkinson, C. and Hodgson, G. ("Coral reefs and the 1997-1998 mass bleaching and mortality," Nature and Resources Vol. 5, No. 2, Apr-June 1999). Magrath and Areans (Magrath, W. and P. Arens., The costs of soil erosion on Java: a natural resource accounting approach, The World Bank, Washington, D.C., 1993) estimate the annual cost of erosion for Java in terms of rice production. The decline in North American migratory birds over the 1978-1988 period is reported by the U.S. Fish and Wildlife Service in its Breeding Birds Survey 1990 and further detailed in Terborgh, J.W., Where Have All the Birds Gone? Essays on the Biology and Conservation of Birds that Migrate to the American Tropics, Princeton: Princeton University Press 1989. H.J. Van der Kaay discusses the threat of emerging pathogens resulting from increased forest loss and contact with primary disease hosts in "Human diseases in relation to the degradation of tropical rainforests," Rainforest Medical Bulletin, Vol. 5, no. 3, Dec. 1998. In her work, The Coming Plague (New York: Farrar, Straus, and Giroux, 1994), L. Garrett reviews the gamut newly emerging diseases and suggests the importance of deforestation in bringing some pathogens in closer contact with human populations. For a popular and thrilling account of one such virus, the hemorrhagic Ebola virus, read R. Preston's The Hot Zone (New York: Random House, 1994). S. Morse, ed. also provides a comprehensive overview in Emerging Viruses, New York: Oxford University Press, 1993. Y. Baskin discusses the role of human activities in creating new disease vectors in the tropics ("The Work Of Nature," Discover Vol. 16, No. 8, Aug 1995). The Rainforest Action Network (RAN 1994) estimates the death rate from malaria among the Yanomani in Brazil and Venezuela at 20%. Martin and Lefebvre raise the concern that global climate change will impact the distribution of malaria in "Malaria and climate: sensitivity of malaria potential transmission to climate," Ambio Vol. 24 No. 4, June 1995, while Binder et al. estimates malaria pediatric fatalities in Sub-Saharan Africa in "Emerging infectious diseases: public health issue for the 21st century," Science Vol. 284, No. 5418 (1311-1313) 21-May-1999. According to Binder et al., infectious disease is the leading cause of death worldwide and the third leading cause of death in the United States ("Emerging infectious diseases: public health issue for the 21st century," Science Vol. 284, No. 5418 (1311-1313) 21-May-1999). The U.S. Centers for Disease Control (CDC) reported to a congressional committee in 1997 that 10% of people who died before the age of 50 in 1994 did so suddenly and mysteriously possibly from some unidentified infection. In addition, the CDC noted that the U.S. spent only $42 million annually on infectious disease surveillance. In the World Population Profile: 1998 (U.S. Government Printing Office, Washington, DC, 1999), the U.S. Bureau of the Census revealed the sobering impact of AIDS in the developing world. E. Hooper (The River, Boston: Little, Brown and Company 1999) provides an excellent overview of the theories on origin of AIDS. He discusses the merits each of these in the course of describing the OVP/AIDS hypothesis he has come to adopt. This hypothesis says AIDS originated from the contimanation of a live polio vaccine with a simian immunodeficiency virus (SIV) during the mid to late-1950s. The other leading hypothesis, that of a "natural transfer" between SIV-infected chimpanzees and humans, is promoted in a widely read paper by F. Gao et al. ("Origin of HIV-1 in the Chimpanzee Pan troglodytes troglodytes," Nature, Vol. 397 (436-441), 1999). At the 7th Conference on Retroviruses and Opportunistic Infections in San Francisco, B. Korber announced that the Los Alamos National Laboratory had traced the divergence of AIDS from SIV to around 1930 (Korber, B. et al., "HIV Databases and Analysis Projects at Los Alamos: An Overview," 1/30/00). The study assumed genetic changes in the virus occur at a constant rate. Should this dating prove correct it would undermine OPV/AIDS hypothesis supported by Hopper 1999. 1994 figures for exports of primary forest products are included in the State of the World's Forests 1997 (SOFO) published by the United Nations Food and Agriculture Organization (FAO). The revenue decline in tropical hardwood exports is estimated in N. Myers "Nature's Greatest Heritage Under Threat." Rainforests-The Illustrated Library of the Earth, N. Myers, ed., Rodale Press: Emmaus, Pennsylvania, 1993. The fall in Malaysian and Philippine log exports is documented in the State of the World's Forests 1997 (SOFO) published by the United Nations Food and Agriculture Organization (FAO). C.B. MacCerron (Business in the Rainforests: Corporations, Deforestation, and Sustainability, Investor Responsibility Research Center, Washington D.C. 1993) predicts that by 2000 only 10 of the 33 tropical countries that export timber will still be able to do so. Myers ("The world's forests: problems and potentials" Environmental Conservation 23 (2) 1996) and D. Pimentel et al. (Pimentel, D., McNair, M., Buck, I., Pimentel, M., and Kamil, J., "The value of forests to world food security," Human Ecology 1996) estimate the value of non-wood forest products at US$90 billion for 1996. Norman Myers explains the albedo connection in "The world's forests and their ecosystem services," In Nature's Services: Societal Dependence on Natural Ecosystems ed G.C. Daily, Island Press, Washington D.C. 1997. The burning of forests releases almost one billion tons of carbon dioxide into the atmosphere each year according to T.E. Lovejoy in "Biodiversity: What is it?" in Biodiversity II, Reaka-Kudla, Wilson, Wilson, eds.., Washington D.C.: Joseph Henry Press, 1997. The role of deforestation in global warming is further discussed in Peters, R.L. and Lovejoy, T.E., eds. Global Warming and Biological Diversity, New Haven: Yale University Press 1992 and Shukla, J., Nobre, C., Sellers, P., "Amazon Deforestation and Climate Change," Science; 247: 1322-25, 1990. In their paper, "Carbon Dioxide Fluxes in Moist and Dry Arctic Tundra during the Snow-free Season: Responses to Increases in Summer Temperature and Winter Snow Accumulation" (Arctic and Alpine Research Vol. 30, No. 4 (373-380), November 1998), Jones, M. H., J. T. Fahnestock, D. A. Walker, M. D. Walker, and J. M. Welker warn that higher temperatures resulting from global warming could result in higher levels of carbon dioxide being released into the atmosphere from arctic tundra. E.J. Barron in "Climate Models: How Reliable are their Predictions?" Consequences Vol. 1 No. 3, 1995 describes the phenomenon of the cooling of the stratosphere during warming events. Global carbon reserviors are given in Kasting, J.F., "The carbon cycle, climate, and the long-term effects of fossil fuel burning," Consequences Vol. 4, No. 1, 1998. W.F. Laurance discusses die-off in forest fragments and the possibly effect on global climate in "Forest Fragmentation May Worsen Global Warming," Science 298: 1117-1118 1/5/98. In "Tropical forestry practices for carbon sequestration: a review and case study from southeast Asia," Ambio Vol. 25 No. 4, June 1996, P.M. Costa notes that forest fragments store less carbon per unit of area than contiguous forest because fragments are often comprised of fast-growing tree species which store less carbon per volume than longer-lived trees. M. McKloskey ("Note on the Fragmentation of Primary Rainforest," Ambio 22 (4), June: 250-51, 1993) provides the two-thirds figure for global fragmented rainforest. In 1995 the Intergovernmental Panel on Climate Change (IPCC) released its report on climate change (Watson, R. T. et al., eds., Climate Change 1995: Impacts, Adaptations, and Mitigation of Climate Change: Scientific-Technical Analyses: Contribution of Panel on Climate Change) concluding "the balance of evidence suggests a discernible human influence of global climate." Mann, M.E., Bradley, R.S. and Hughes, M.K. ("Northern Hemisphere Temperatures During the Past Millennium: Inferences, Uncertainties, and Limitations." Geophysical Research Letters, Vol. 26 (759-760), 1999) reported the NOAA's findings that 1998 was the warmest year on record. The same paper (picked up by the national press in "Report: 1990s warmest decade of millennium" Reuters 3/3/99) also reported that the 1990s have been the warmest decade of the millennium. J. Warrick in "Scientists See Weather Trend as Powerful Proof of Global Warming," The Washington Post 1/9/98 reported that the past decade has witnessed nine of the eleven hottest years this century. The National Research Council of the National Academies (J.M. Wallace et al. Reconciling Observations of Global Temperature Change, National Research Council 2000) examined the apparent conflict between surface temperature and atmospheric temperature, which has led to the controversy over whether global warming is actually occurring and concluded that strong evidence exists to show that surface temperatures in the past two decades have risen at a rate substantially greater than average for the past 100 years. Angell, J.K. further discusses the discrepancies in "Comparison of surface and tropospheric temperature trends estimated from a 63-station radiosonde network, 1958-1998," Geophysical Research Letters, Vol. 26, No. 17 (2761-2764), Sep. 1, 1999. L.D. Hatfield provided an excellent overview of the worldwide effects of el Niño in "An Ill Wind Blows in Again," San Francisco Examiner, 9/4/1997. The National Oceanic and Atmospheric Administration 1997-2000 reports on the history, frequency, and duration of past el Niño (ENSO) events. D.T. Rodbell looks at the history of ancient ENSO events in "An ~15,000-Year Record of El-Nino Driven Alluviation in Southwestern Ecuador," Science, Vol. 283 (516-519), 22-Jan-99. Leighton, M. and Wirawan, N found a direct correlation between ENSO events and drought in Eastern Borneo in "Catastrophic Drought and Fire in Borneo Rain Forests Associated with the 1982-83 El Niño Southern Oscillation Event," in G.T. Prance, ed., Tropical Rain Forests and the World Atmosphere., Westview: Boulder, Colorado, 1986. The Large Scale Biosphere-Atmosphere Experiment in Amazonia (LBA) - sponsored by INPE (the Brazilian Institute for Space Research) 1997 - provided data for the global carbon emissions breakdown. D. Holt-Biddle in "The Heat is On," Africa-Environment and Wildlife May/June Vol. 2 No. 3. 1994 notes the increase in atmospheric carbon dioxide levels over the past 150 years. Martin and Lefebvre discuss the spread to tropical diseases into cooler climes in "Malaria and climate: sensitivity of malaria potential transmission to climate," Ambio Vol. 24 No. 4, June 1995. Based a studies of ice cores from Greenland, Steig et al. ("Synchronous Climate Changes in Antarctica and the North Atlantic." Science October 2; 282: 92-95. 1998.) proposed that a chaotic temperature change in Greenland occurred at the end of the last Ice Ages. J. P. Severinghaus and E. J. Brook followed up with similar findings in "Abrupt Climate Change at the End of the Last Glacial Period Inferred from Trapped Air in Polar Ice," Science 1999 October 29; 286: 930-934. K.Y. Vinnikov et al. ("Global Warming and Northern Hemisphere Sea Ice Extent," Science 1999 December 3; 286: 1934-1937) found ice in the Artic is shrinking by an average of 14,000 square miles per year and shrinkage is strongly correlated to greenhouse gas and aerosol emissions. Mitigating carbon emissions by reforestation is reviewed in E.O. Wilson's The Diversity of Life (Belknap Press, Cambridge, Mass 1992. ), Biotic Feedbacks in the Global Climatic System: Will the Warming Feed the Warming? ( New York: Oxford University Press 1995) by G.M. Woodwell and R.A. Mackenzie, eds., and Phillips, O.L. at al. "Changes in the carbon balances of tropical forests: Evidence from long-term plots." Science Vol. 282. October 1998. However this proposition has come under criticism of late by several important agencies including the International Geosphere-Biosphere Programme (IGBP) (B. Scholes, "Will the terrestrial carbon sink saturate soon?" Global Change NewsLetter No. 37:2-3, March 1999) and the Intergovernmental Pannel on Climate Change (R. Watson et al. IPCC Special Report on Land Use, Land Use Changes, and Forestry, 1999). Parry, M. et al. ("Adapting to the Inevitable," Nature Vol. 395 22-Oct-1998 "(741)) conclude the cuts under the Kyoto Protocol would only shave off 0.1°F by 2050. In "Bogging Down in the Sinks" (Worldwatch Nov/Dec 1998) A.T. Mattoon discusses some of the problems with forestry sinks under the Kyoto protocol. Agricultural changes brought on by climate change are considered by R.C. Rockwell in "From a carbon economy to a mixed economy: a global opportunity," Consequences Vol. 4 No. 1, 1998 and at the Global Change and Terrestrial Ecosystems Focus 3 Confrence (1999). Several studies presented at this confrence suggest that grain grown under carbon dioxide enriched conditions maybe less nutritious than than grain grown under current conditions. This conference was arranged under the International Geosphere-Biosphere Programme (IGBP). R. Monastersky in "Acclimating to a Warmer World," (Science News, Vol. 156. 28-Aug-99) reviews some of the pitfalls and windfalls from a warmer climate including an increase in number of "hot" days, sewage and transit problems, and lower heating bills. A.E. Waibel et al. ("Arctic Ozone Loss Due to Denitrification," Science Vol. 283 No. 5410 (2064-2069), March 26, 1999) showed that global warming could slow the recovery of the ozone layer. Houghton (Houghton, R.A. "Tropical deforestation and atmospheric carbon dioxide," in: Tropical Forests and Climate, ed. N. Myers., Dordrecht: Kluwer Academic Publishers, 1992 and Houghton, R.A., "Role of forests in global warming," in: World Forests for the Future: Their Use and Conservation, ed K. Ramakrishna and G.M. Woodwell, New Haven: Yale Univseristy Press, 1993) and Myers (Myers, N., "The world's forests: problems and potentials," Environmental Conservation. 23 (2), 1996) estimate carbon sequestration by the reforestation of 3.9 million square miles (10 million square km). Some good overviews of the current concerns over species extinction can be found in Pimm, S.L., Jones, H.L., and Diamond, J. "On the risk of evolution," American Naturalist, 132 (6) 757-785, 1988; Simberloff, D.S., "Are We on the Verge of a Mass Extinction in Tropical Rainforests?" in D.K. Elliot, ed. Dynamics of Extinction, New York: Wiley 1986; Wilson, E.O. "The current state of biological diversity." In BioDiversity, Wilson, E.O. and Peter, F.M., eds. National Academy Press, Washington D.C. 1988; Wilson, E.O. "Threats to Biodiversity," Scientific American, Sept, 1989; Wilson, E.O. "Wildlife-Legions of the Doomed," Time Magazine, 1991; Wilson, E.O., The Diversity of Life, Belknap Press, Cambridge, Mass. 1992. May, E. M., Lawton, J.H., Stork, N.E. compare the estimated current extinction rate to the background extinction rate in "Assessing Extinction Rates" in Extinction Rates, Lawton and May, Eds., Oxford: Oxford University Press, 1995 in Biodiversity II. T.C. Whitmore ("Tropical Forest Disturbance, Disappearance, and Species Loss," Tropical Forest Remnants: Ecology, Management, and Conservation of Fragmented Communities, W.F. Laurance and R.O. Bierregaard, Jr, Eds., Chicago: University of Chicago Press, 1997) notes that while there is little evidence of the mass extinctions predicted by the species-area curve, extinction probably has a time lag so species loss from habitat destruction in the past is not yet apparent. In his book The Call of Distant Mammoths: Why the Ice Age Mammals Disappeared (Copernicus New York. 1997), P.D. Ward provides a popular account of the extinction of Ice Age megafauna. He explores the leading extinction theories and reviews terminology associated extinction such as "extinction debt." For more detailed examination of extinction debt, see McCarthy, M.A., Lindenmayer, D.B., and Drechsler, M. "Extinction debts and risks faced by abundant species." Conservation Biology Vol. 11 No. 1 (221-226), Feb. 1997 and Tilman, D. et al. "Habitat destruction and the extinction debt." Nature 371: 65-66. 1994. Recently Cowlishaw, G. ("Predicting the Pattern of Decline of African Primate Diversity: an Extinction Debt from Historical Deforestation." Conservation Biology, Pages 1183-1193. Vol. 13, No. 5, October 1999) examined extinction debts among west African primates, while Brooks, T.M., Pimm, S.L., and Oyugi, J.O. ("Time Lag between Deforestation and Bird Extinction in Tropical Forest Fragments." Conservation Biology, Pages 1140-1150. Vol. 13, No. 5, October 1999) surveyed the extinction debt-time lag among insular Southeast Asian bird species. Comparing the occurrence of bird species in isolated forest fragments with the original avifauna Renjifo, L.M. ("Composition Changes in a Subandean Avifauna after Long-Term Forest Fragmentation." Conservation Biology, Pages 1124-1139. Vol. 13, No. 5, October 1999) found a reduction in diversity after fragmentation. The species extinction table is derived from a similar table in Biodiversity II, Reaka-Kudla, Wilson, Wilson, eds.., Washington D.C.: Joseph Henry Press, 1997. The extinction estimates come from several sources including Raven, P.H. "Our Diminishing Tropical Forests," In BioDiversity, Wilson, E.O. and Peter, F.M., eds. Washington D.C.: National Academy Press, 1988; Wilson, E.O. "Threats to Biodiversity," Scientific American, Sept, 1989; May, R.M., "How Many Species Are There on Earth?" Science, 241: 1441-49, 1988; Wilson, E.O. The Diversity of Life, Cambridge, Mass. : Belknap Press, 1992; Reid, W.V. "How Many Species Will There Be?" In Tropical Deforestation and Species Extinction, Whitmore, T.C. and Sayer, J.A., eds., London: Chapman and Hall, 1992; and Mace, G.M. ; 1994; "Classifying threatened species: means and ends," Phil. Trans. R. Soc. Lond. Bulletin 344, 91-97; Lovejoy, T. E. "A projection of species extinctions," in The Global 2000 Report to the President, G.O. Barney, Study Director, Entering the twenty-first century, vol. 2. Council on Environmental Quality,U.S. Government Printing Office, Washington D.C. 1980; From Biodiversity II. Reaka-Kudla, Wilson, Wilson, eds. Joseph Henry Press. Washington D.C. 1997; and Lovejoy, Thomas E. "Biodiversity: What is it?" In Biodiversity II, Reaka-Kudla, Wilson, Wilson, eds.., Washington D.C.: Joseph Henry Press, 1997. The worldwide decline in amphibians is discussed by Lips ("Decline of a montane amphibian fauna," Conservation Biology Vol. 12 No. 1 (106-117), Feb. 1998. ), Sessions et. al. (Sessions, S.K. Franssen, R.A., Horner, V.L., "Morphological Clues from Multilegged Frogs: Are Retinoids to Blame?" Science. 284 (5415) 1999), Tangley ("The Silence of the Frogs," U.S. World and News Report 8/3/98. ), and Tuxill ("The Latest News on the Missing Frogs," World Watch, May/June 1998.). 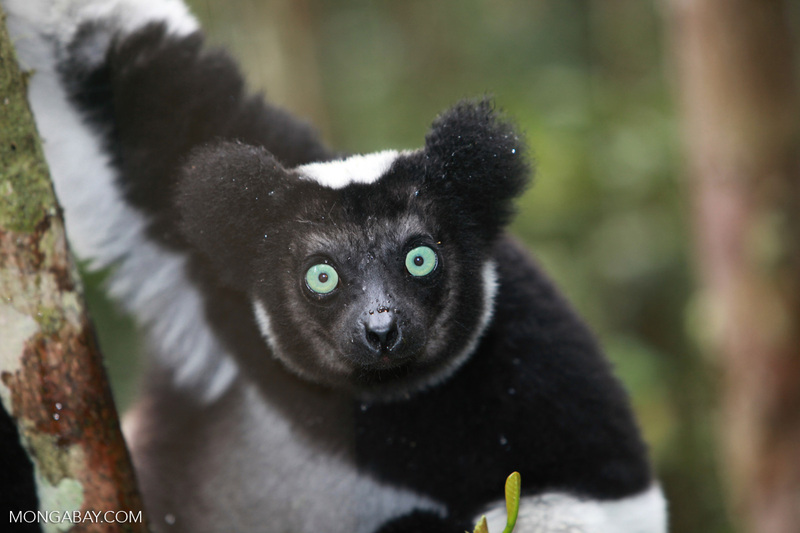 Population sinks and sources are discussed in Merenlender, A., Kremen, C., Rakotondratsima, M., and Weiss, A., "Monitoring Impacts of Natural Resource Extraction on Lemurs of the Masoala Peninsula, Madagascar," Conservation Ecology Vol. 2(2): No. 5, 1998. Suplee, C. reported the findings of the IUCN that roughly 12% of the world's flora can be classified as being threatened with extinction ("One in Eight Plants in Global Study Threatened," The Washington Post, 4/8/98). In their The Theory of Island Biogeography (Princeton, New Jersey: Princeton University Press, 1967) R.H. MacArthur and E.O. Wilson discuss the geographic distribution and number of species of species on islands of varying sizes and vegetation types. Mass extinctions are defined in Sepkoski, J.J. "Mass extinctions in the Phanaerozoic oceans: A review," Geological Society America, Special Paper 190, 1982, and Ward, P.D., On Methuselah's Trail: Living Fossils and the Great Extinctions, New York: W.H. Freeman and Company, 1992 and further explored in Raup, D., The Nemesis Affair, New York: W.W. Norton, 1986 and Martin, P.S. and Klein, R.G., eds., Quaternary Extinctions: A Prehistoric Revolution, Tucson: University of Arizonia. 1984. The role of extra-terrestrial objects in past extinction events is evaluated by Alvarez et al. (Alvarez, L., Alvarez, W., Asaro, F., and Michel, H., "Extra-terrestrial cause for the Cretaceous-Tertiary extinction," Science 208: 1094-1108, 1980), Gore (Gore, R., 1989, "Extinctions," National Geographic, Vol. 175:6, p. 662-698), Raup (Raup, D., Extinction: Bad Genes or Bad Luck? New York: W.W. Norton; 1991), Sheehan (Sheehan, P.M., 1991, "Sudden extinction of the dinosaurs: latest Cretaceous, Upper Great Plains, U.S.A.," Science, v. 236, p. 835-839), and Hecht (Hecht, J., 1993, "Asteroidal bombardment wiped out the dinosaurs" New Scientist, v. 138, p. 14). Forces (demographic stochasticity, environmental stochasticity, and reduced genetic diversity) that can drive a species with a population under MVP to extinction are explored in The Call of Distant Mammoths: Why the Ice Age Mammals Disappeared (New York: Copernicus, 1997) by P.D. Ward and in Conservation and Biodiversity, New York: Scientific American Library, 1996 by A. Dobson. The concept of minimum viable populations is developed in Soulè, M.E. and Wilcox, B.A., eds., Conservation Biology: An Evolutionary-Ecological Perspective, Sunderland: Sinauer 1980; in Frankel, O. and Soulè, M.E. Conservation and Evolution, Cambridge: Cambridge University Press, 1981; and in Gilpin, M E. and Soule, M.E. (1986). "Minimum viable populations: the processes of species extinction," In Conservation Biology (pp. 19-34), Sunderland, MA. : Sinauer Associates, M. E. Soule (Ed.). Gilpin has continued to apply mathematical physics and operations research in his approach to examining island biogeography and population genetics in several books (including Restoration Ecology. (1987). J. Aber, M. Gilpin and W. Jordan, Eds. Cambridge University Press, London; Metapopulation Dynamics: Theoretical Models and Empirical Investigations. (1991). M. Gilpin and I. Hanski, Eds. Academic Press, New York; and Metapopulation Dynamics: Genetics, Evolution and Ecology. (1996). I. Hanski and M. Gilpin, Eds. Academic Press, New York). The role of social dysfunction in population extinction is considered in Raup, D., Extinction: Bad Genes or Bad Luck? New York: W.W. Norton, 1991, and R.B. Primack, Essentials of Conservation Biology, Sunderland, MA. : Sinauer Associates, 1993. Alfred Wallace's concerns over biodiversity loss in Indonesia during the late 19th century can be found in his classic Island Life (1881) (reprint edition (December 1997) Prometheus Books). The complexity of ecosystem dynamics and population fluctuations is discussed in M. Gilpin and I. Hanski, Eds., Metapopulation Dynamics: Theoretical Models and Empirical Investigations (1991). Academic Press, New York; May, R. and Nowak, M. "Superinfection, metapopulation dynamics, and the volution of diversity" Journal of Theoretical Biology 170: 95-114, 1994; Leakey, R. and Lewin, R., The Sixth Extinction: Patterns of Life and the Future of Humankind. New York: Doubleday, 1995; I. Hanski and M. Gilpin, Eds. Metapopulation Dynamics: Genetics, Evolution and Ecology. (1996). Academic Press, New York; and Ward, P.D. The Call of Distant Mammoths: Why the Ice Age Mammals Disappeared (New York: Copernicus 1997). Holdgate (Holdgate, M., "The Ecological Significance of Biological Diversity," Ambio Vol. 25 No. 6, Sept. 1996) notes that only 724 species have been recorded as going extinct since 1600, but explains actual extinction rates are acutally considerably higher given our relative ignorance of the number of species and inter-relationships between species. Wilson (Wilson, E.O., The Diversity of Life, Cambridge, Mass. : Belknap Press 1992) and Erwin (Erwin, T. L. "Tropical Forests: Their Richness in Coleoptera and other arthropod species." Coleopterists Bulletin 36:74-75. 1982) estimate that roughly half the world's species dwell in rainforests. Critics (see "Truth Almost Extinct in Tales of Imperiled Species," The Washington Times, September 19, 1984, and Simon, Julian, and Aaron Wildavsky (1994). Species Loss Revisited. Endangered Species Blueprint (National Wilderness Institute) 5, 1: 6-9.) have argued that the "extinction crisis [based on these theoretical projections] is alarmist and exaggerated" (Brooks, T., Pimm, S.L., Collar, N.J., "Deforestation predicts the number of threatened birds in insular southeast Asia," Conservation Biology Vol. 11 No. 2, April 1997). Ward, P.D. (The Call of Distant Mammoths: Why the Ice Age Mammals Disappeared (New York: Copernicus 1997) provides commentary on the Moisimann and Martin model of 1975 and its later amendment by Whittington and Dyke in 1989. In his article "The Big Goodbye" (Outside, November 1981) D. Quammen articulates that the intricate relationships between species may result in the extinction of a large number of species. E.O. Wilson laments the loss of biological diversity in The Diversity of Life. (Cambridge, Mass. : Belknap Press, 1992) noting that as each species is lost, a unique combination of genes - which has been produced over the course of millions of year - also disappears. Norman Myers popularized the subject of the current extinction wave in The Sinking Ark. A New Look at the Problem of Disappearing Species, New York: Pergamon, 1979. In his book The Future Eaters (New York: Braziller 1995.) T.F. Flannery provides a fine overview of ancient man's impact on the ecology and environment of Australia. He holds mankind largely responsible for the extinction of Australia's megafauna. In his article "Easter's End" (Discover. Vol. 16, No. 8, Aug 1995) Jared Diamond evinces that the social collpase of Easter Island may be tied to its ecological degradation and subsequent impoverishment. This interesting and very readable article provides the substance for the text box on "Historical Consequences of Deforestation: Easter Island." Steadman, D. W. ("Extinction of Birds un Eastern Polynesia: A review of the record, and comparisons with other Pacific Island groups," Journal of Archaeological Sciences, 16:177-205, 1989. From Biodiversity II, Reaka-Kudla, Wilson, Wilson, eds., Washington D.C.: Joseph Henry Press 1997). notes that only one of the original 22 species of seabird still nests on Easter Island. For a larger scale perspective than Easter Island, C. Runnels, "Environmental degradation in ancient Greece," Scientific American 272 (3): 72-75, 1995 and R. Adams, Heartland of Cities, Chicago: University of Chicago Press, 1981 link environmental degradation with the decline of civilization in ancient Greece and Mesopotania, respectively.